See original Richmond News article. Have you ever been at the park with your children and seen a dog off-leash in Richmond that wasn’t allowed to be there? What happened then? Did an animal control officer come over and ticket the individual? Or worse, did the dog see you at a distance, come running across the field and engage you or your child? Most likely, the animal control officer on duty couldn’t attend the scene because he was investigating two or three animal cruelty or abandonment cases instead, and there is only ever one animal control officer on duty. This has been my experience in Richmond. Not every city is like this. The City of Calgary had rampant dog bite incidents with over 1,000 bites per year in the ’80s and ’90s. However, Bill Bruce, director of animal and bylaw service for the City of Calgary, found a way to reduce dog bites, fund animal control and enforce the bylaws while making a profit for the city. In a nutshell, Bruce’s strategy was to increase animal control enforcement with more staff and more equipment, which in turn increased fines and income to the city by a staggering amount — enough to fund a new animal shelter. 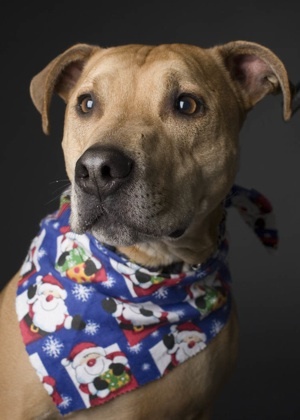 Furthermore, dangerous dog bylaws were overhauled to discard legislation that simply focused on the breed of the dog (called Breed Specific Legislation or BSL) to determine if a dog is dangerous. Instead, the City of Calgary implemented the increasing popular notion of legislating the “other end of the leash” — the dog owners, not the dog itself, and developed a comprehensive public education program that reduced dog bites to .14 per cent per 100,000 dogs, the lowest in Canada. However, according to the Canadian Veterinarian Journal (2008 June; 49(6): 577-581), German shepherds, sled dogs and huskies and many ‘other’ breeds were implicated in more fatal dogs attacks in Canada than bull-breed dogs. Yet we don’t consider these breeds to be inherently dangerous. The cities of Delta, Vancouver, Port Coquitlam, and North Vancouver have already removed their BSL in favour of bylaws based on highly responsible dog ownership. It doesn’t do any good if we restrict the actions of bull-breeds when an off-leash standard poodle comes running toward your child at the park. In addition, the BCSPCA adamantly opposes BSL, saying it gives communities a false sense of security when dog safety education is needed instead. Ignoring the need to enforce animal control laws has long lasting consequences. For example, last year the City of Richmond seized two mastiff dogs who were accused of attacking a person. The owner made no attempt to get the dogs back or defend their actions, and the dogs were quickly euthanized by the city. In most cases like this, the owner is at fault for not training the dog, not walking the dog, putting the dog in a fearful situation or, in so many cases, not even feeding the dog enough food. 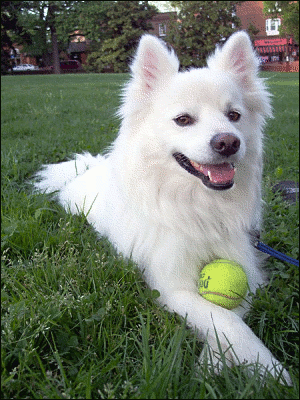 The person may be fined for the dog’s behaviour and lack of adherence to the bylaws (if they are caught), but problematic owners are not prevented from owning an animal in the future. Hence, regardless of breed, any dog in that owner’s care may end up aggressive as well. And that’s exactly what happens. Non-compliant owners get new dogs, and the cycle starts over again causing future victims pain and injury and costing tax payers more money. Richmond, it’s time to trade Breed Specific Legislation for animal control enforcement and education that works. The Hugabull Advocacy and Rescue Society is hosting Bill Bruce to speak in Vancouver on Calgary’s bylaw transformation on Sept. 9. See http://hugabull.com/services/billbruce for details. Please write to Richmond city council and urge them to attend this important meeting on how to create a safer, more animal control bylaw compliant community. For more information see http://hugabull.com/resources/calgary. 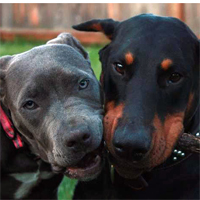 Note: Pit bull and Doberman pictures graciously donated by Hugabull.